Isle of Man dish - 4⅝" (117 mm) diameter. Isle of Man Potteries Ltd was established in 1963. 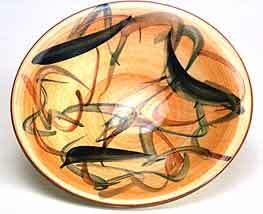 The make hand painted earthenware decorative domestic wares and models.